Your garage door is a central feature in the appearance of your home or commercial property. Large or multiple doors very much affect how the exterior looks. A custom garage door can give your home or business just the right look for you. If you have an idea in your head of the perfect door – from modern and sleek to classic -- to complement your home, contact Express Garage Doors to make it a reality. No other firms in the San Diego, CA are as best as Express Garage Doors. We manufacture custom doors of any size and design. We have so many materials to choose from that you can really get the door of your dreams. A custom door should reflect your personality and match the design, style, and colors of your existing building or new construction. You won’t be disappointed when you invest in a custom door and see the difference in your entire property. There are numerous design options, and it is always exciting for us to work with a customer to create the perfect door. Perhaps you are looking for a unique style, such as bifold or trifold doors, barn-style garage doors, or a contemporary design, or a classic swing door. 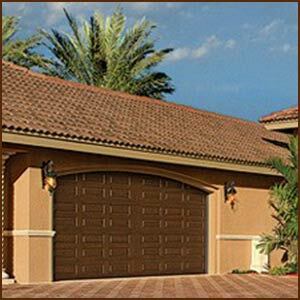 Express Garage Doors manufactures custom overhead garage doors, and just about any other door you can imagine using an array of materials. There are so many design and materials possibilities, it can be overwhelming, but we will work with you to help you make the best choices for your situation. Options include a variety of wood and manmade materials, environmentally friendly options, metal, glass, and more. We firmly believe it is up to us to help you make the right decisions. Our builders, designers, and technicians work together with you so that the finished product is perfect in form and function. 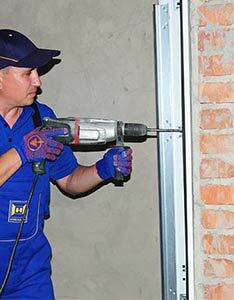 While the appearance is important, your custom doors also must be functional and provide security. We thoroughly research and select the parts ad mechanisms to make your new door work as well as it looks. Express Garage Doors is proud to have a team of master craftsman who will make your custom door to exact specifications. We are as excited as you are to get started on your custom garage door. We will deliver your one-of-a-kind door that blends sophistication and security. We guarantee every custom garage door we build. Even if you are just thinking about the possibility of a custom garage door, give Express Garage Doors a call to schedule a no-cost consultation with our custom door design specialists. Find out how a custom door can enhance the entire look of your property.